There are cut marks on her hands. Next day, when they travels through boat during the song "Maahi..."; we can see that she is completely healed. Wow, in a day her cut marks disappears. 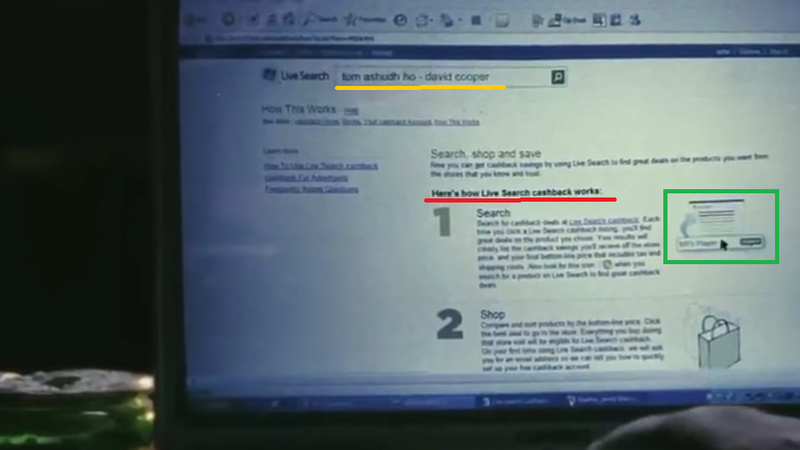 Emraan Hashmi search for "tum ashudh ho-david cooper" in search box and results are shown for "how live search cashback works". 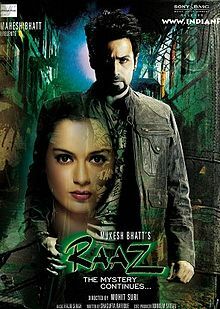 In above picture you can see in green box that cursor is placed there, "mp3 player" is written there. When Emraan Hashmi clicked it, website of Zee News opened. How?? You can see that "HO" written is almost fade. But in next shot, it is dark and blood is dripping from it.